me get the song Kajra Mohabbatwala? I have been scouting some stores and the internet. Just not getting the song and its imperative that I do so. If you have the song or are able to find it, please let me know. > And type "Kajra Mohabbatwala" in the search box and choose, "category:- All and "IN" - All, u wud get it. nt sure when u meant from internet..if this is wat u wanted..anyways..
en pangukuku me too adding to the list..
i think this is BR chopra movie?? nt sure..landmarkla manna dey hits and oru old lady singer..begam someone....avanga perla cd paatha nyagabam oldies sectionla..if u want u can chk there too..
Couldn't find a download link..but here's where u can lissen to it online.. will let ya know if i find a download link..
Oh found it.. from cooltoad.. i have a copy as well now... mail me at curiosulyc@gmail.com incase u don't have it already! akka, can you help me? i need to know the movie that the song "minnalae" sung by S.P.B sir came from. it was sung by one of the super singer contestants on 5/11/08's show. right before renu and deepshika's performance. thank you akka! Poorani... the song minnalae is from "May Madham". 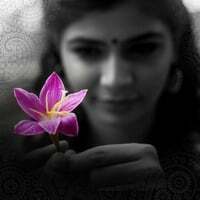 Chinmayi.. I am sorry but couldn't help myself respond to one of your fans writing to u in your blogspot. This is my very first to you. I have been in love with your voice from ur very first song and have been more than impressed at your versatility, your friendly and sweet nature.